Florence Aubonnet is a partner at top-tier employment and labour law firm Flichy Grangé Avocats which comprises over 70 specialist lawyers working in complimentary areas. Florence takes an active part in L&E Global, an international platform of 23 prominent employment-law firms co-founded by Flichy Grangé Avocats in 2011; she also lectures at the Paris Bar School. She co-authored « Executive Compensation & Employee Benefits 2015 » (Éd. Getting the Deal Through in collaboration with Stéphanie Dumas, 2015), and Restructuring your firm: labour-law aspects (2000, with Laurent Gamet). She has also contributed to a number of other legal publications. Florence was recognised as 'Best Lawyer 2018 in Employment Law" by Best Lawyers. 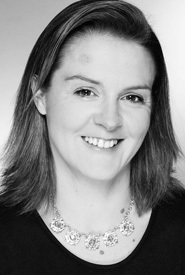 Florence Aubonnet holds a Masters in Private Law from the Sorbonne University; she was admitted to the Paris Bar in 2000 and has been a partner with Flichy Grangé Avocats since 2006.